Many of us probably cannot imagine our lives without internet. Our dependency on internet is constantly increasing and for conveniently doing most of our tasks we look up to this technology. But a huge population of the world is still waiting for the day when they would be able to access the internet for accomplishing at least some tasks. Many people dwelling in rural areas or at places where a natural calamity has severely disrupted the internet connectivity are still yearning to have internet access. To fill this gap, Google is working on the “Project Loon” under which it’s planning to launch a network of balloons that would travel to the remotest of areas, filling coverage gaps and making internet accessible to all. The objective is to float high altitude balloons in the stratosphere, 20 kilometer above the Earth’s surface, which harbors a layer of wind, varying in speed and direction. With the aid of technology, the balloons will float in the desired direction, reaching places where internet connection is required. Telecommunications companies will share cellular spectrum, enabling the users to connect to the balloon network through their phones or other devices. Software algorithms have been used to determine the direction of the balloons and to move the balloons into a layer where the wind is blowing in the desired direction. Thus a large communication network can be formed through the arrangement of balloons moving with the wind. The inflatable part of the balloon, made of polyethylene plastic sheets, is important for the proper working of a balloon in the stratosphere for around 100 days. When the twelve meters tall and fifteen meters wide balloons are required to be taken out of service, the gas filled inside is released and the balloon descends with a controlled speed. The balloons are also equipped with a parachute, in case they drop too quickly. The internet balloons are powered by solar panels that capture sunlight efficiently, producing around 100 Watts of power in the full sun. This keeps them working and also charges the battery for use at night. Thus the Project Loon charges itself entirely with a renewable source of energy. Each balloon uses a wireless communications technology known as LTE, providing connectivity to about 80 kilometer diameter ground area below it. The super pressure balloons containing lighter than air gas under high pressure are so designed that their volume remains more or less stable, irrespective of temperature changes. This enables them to maintain specific altitudes for long periods, preventing their descent when the gases cool down at night. The project began in June 2013 and to test the technology it was launched as a pilot in New Zealand. Subsequent tests were also conducted to improve the technology and to prepare the project for launching on a larger scale. 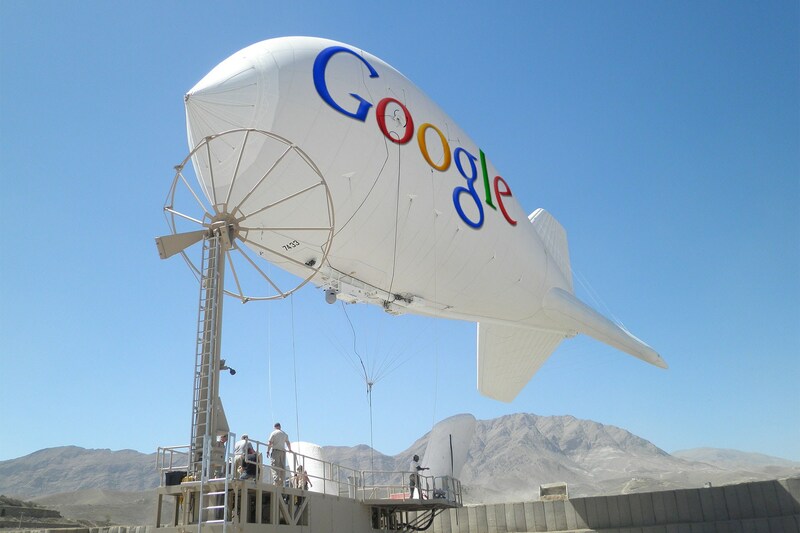 If the Google internet balloons become successful at large scale, overcoming all the technical challenges, the system would be much cheaper to maintain as compared to satellites. Thus the project also aims at providing affordable internet access in rural and undeveloped areas. Google is planning to form a ring of internet beaming balloons in the stratosphere so that everyone on the Earth gets to access internet easily. Technology is indeed taking huge leaps to ease human lives on Earth and the internet beaming balloons are just another example of this. The use of internet could, indeed, bring about enormous advancements in the lives of people who are yet to discover its numerous benefits. The project could be another crucial move to help people reap the benefits of internet.